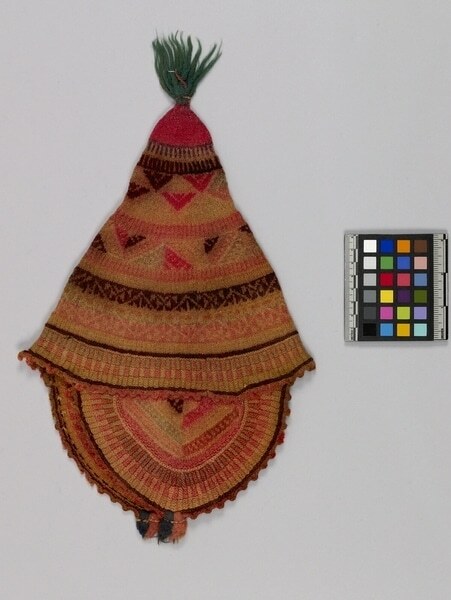 Woven, wool hat, conical in shape with two triangular shaped earflaps with black and red tassel at the end. 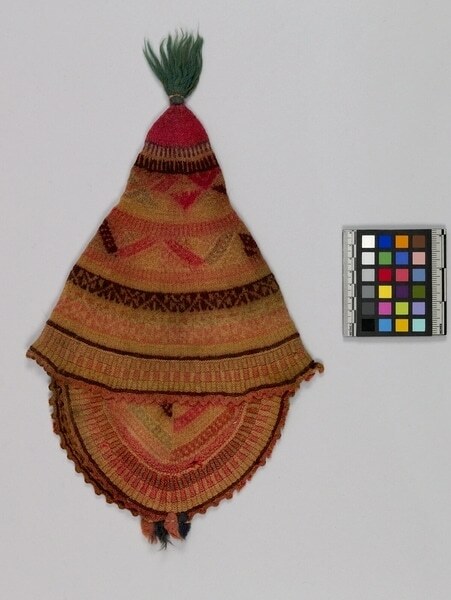 The body of the hat is detailed with geometric patterns of stripes, rectangles and zigzags light brown, brown, red, green and pink. There is a green tassel attached to the tip of the hat. Bought in Cuzco in June 1978 from Victor Olivera. Olivera said the hat was made in Ccatcca, a town southeast of Cuzco.